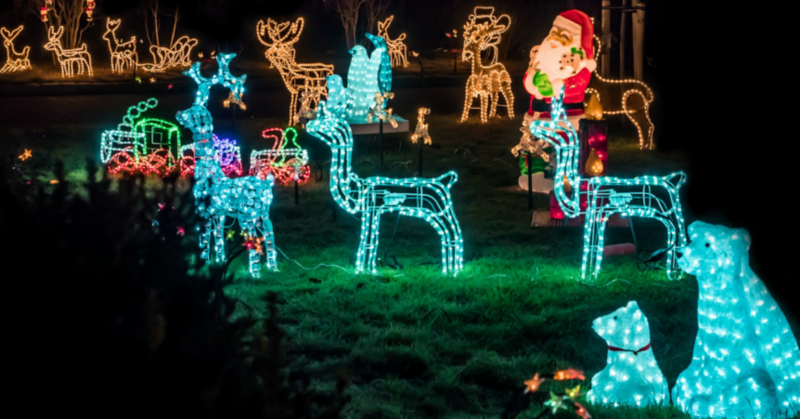 There are lots of Christmas events to go to this time of year but sometimes all you want to do is stay in your neighbourhood and just have a quiet family night. This doesn’t mean you have to stay indoors though. 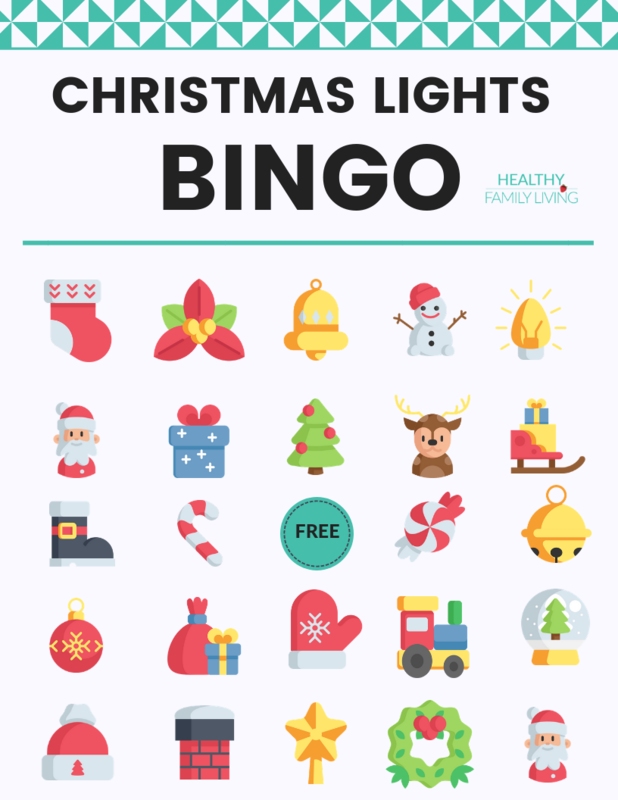 Try playing our Christmas lights bingo game and we are sure it will become a new holiday tradition. 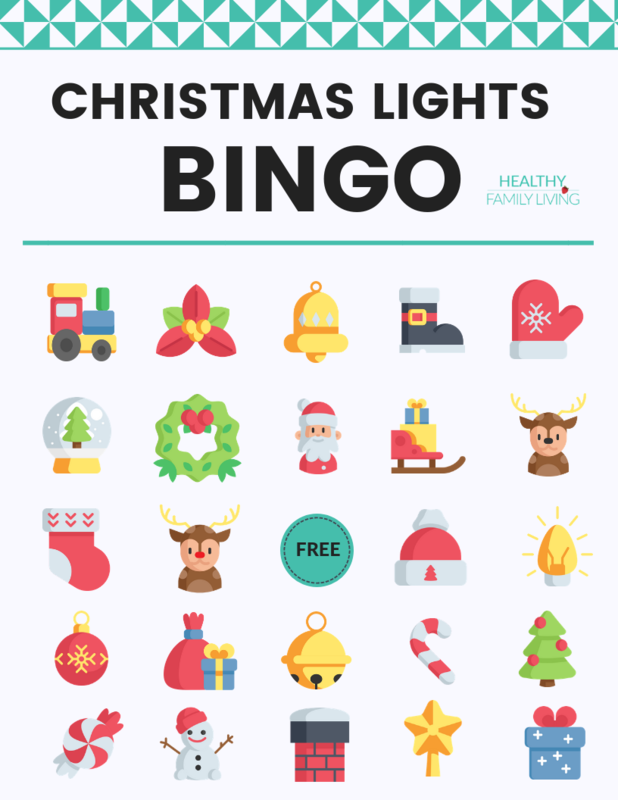 All you need is to do is bundle up nice and warm, grab our free printable bingo sheets and a marker. You are all set! You may want to add a flashlight and some warm drinks to complete the package. This game is the perfect little boost to get your family moving and to walk off any holiday stress. 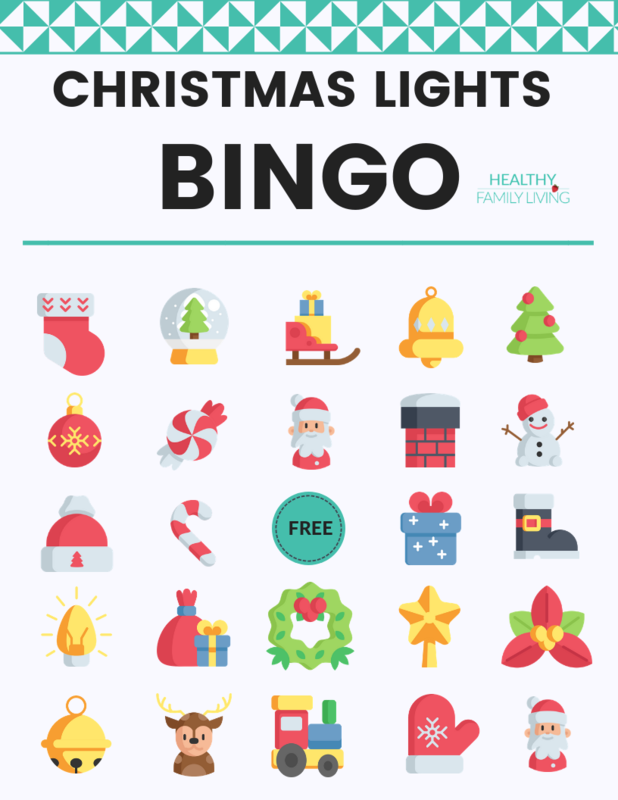 To play Christmas lights bingo, print out enough bingo cards for everyone in the group or pair people up in larger groups. Now head out on an evening walk as a group/family (Be sure to wear bright & reflective clothing). Mark off the items on your card as you see them (use a small mark so you can play again). 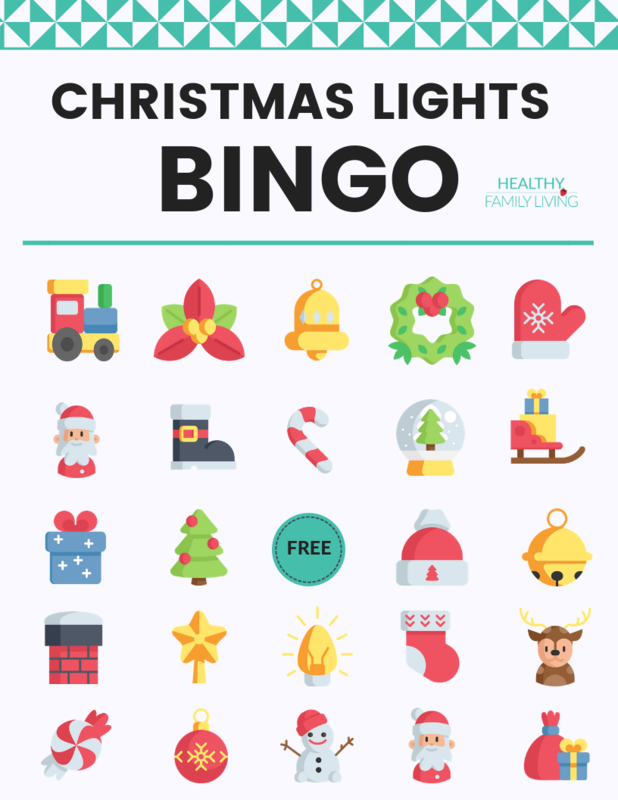 Once you have seen all the items in a line (horizontal/vertical/diagonal) yell CHRISTMAS LIGHTS BINGO! For longer walks, simply swap cards among group members and start again, or try for the full card. Have fun!